It has taken me a long time to be able to respond to the Newton tragedy. I think part of that is denial. It is not possible for this evil to live among us. It is not possible for innocent lives to be stolen so violently. 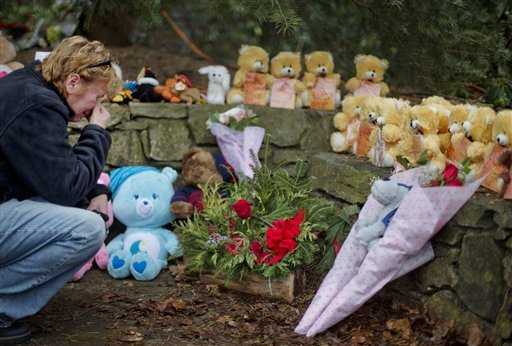 On Friday, a gunman opened fire in Sandy Hook Elementary school in Newtown, Connecticut. He killed 26 people, 20 of which were children. To be perfectly honest, I still don't have any words. My heart pours out the families of those precious lives lost. This is the verse that God put on my heart when I began writing about this tragedy. I couldn't believe it. After the evil the world witnessed in the presence of children, "this is God's will for you" ?!?!? But then I began to understand. "Always be joyful." 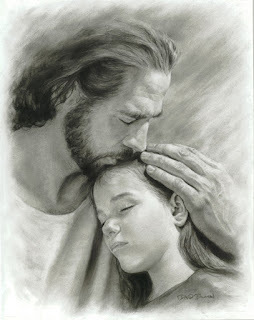 -- With joy comes a peace, an understanding, that only Christ can bring. Because it is a joy that goes far beyond the happiness of this day. It is a joy that we know, beyond a shadow of a doubt we know, that when life is over for us on this world -- this cruel evil world that is in the hands of Satan -- that we will spend eternity with the one who created us and who loves us. 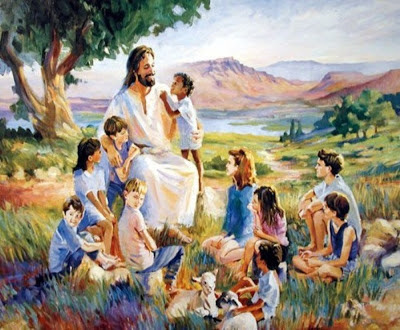 Those beautiful, innocent children are in the arms of Jesus today. I pray the others are there with them. It is a tragedy, but there is joy in knowing they are safe and they are loved. "Never stop praying." -- Well that one is easy. The hearts of people all over the world, whether they are Christian or not, whether they believe in God or not, are praying and sharing in the pain of this unbelievable loss together. I will never stop praying that love with overcome evil. I will never stop praying that God will bring justice upon the sins of man. I will never stop praying that forgiveness is the way to turn a tragedy into a greater faith that can change the world. "Be thankful in all circumstances." -- This tragedy is one circumstance that it is quite difficult to be thankful in. But God calls us to be thankful in all circumstances. That includes even times like this where darkness covers everything and evil has corrupted our world. What is there to be thankful for? I am thankful that those precious lives were not taken in vain. There is a greater purpose working here, God always has a plan to teach, to love, to save. I am thankful that innocent lives are destined to walk with Jesus. I am thankful that God is watching over us and can begin to heal the hearts of the loved ones left behind. I am thankful because I have faith in my Heavenly Father who will right the wrongs of this world and will triumph over evil in the end. "For this is God's will for you who belong to Christ Jesus." -- God's will for us is not the tragedy we face, it is that we may have joy because we know we are safe in the arms of Jesus, we will never stop praying because we share in the joy and the pain of those around us, and we can be thankful in all circumstances because God help us overcome the pain. By having Christ Jesus in our hearts we have the tools and the faith to move beyond the hurt to the purpose. God always has a purpose. This is a tragedy that affects us all, but it is an opportunity for belief. If you have no faith, then this tragedy may consume you, but with the hope that God provides, there is more. There is a light in the darkness that no evil can extinguish. There is a way that no foe can hide. With Jesus, the evil of this world will be crushed and peace shall reign in entirety again. Matthew 11:28 -- "Then Jesus said, “Come to me, all of you who are weary and carry heavy burdens, and I will give you rest." Psalm 147:3 -- "He heals the brokenhearted and bandages their wounds." I pray for the families of this tragedy. Please help them grieve and give them peace that you are greater than any evil the world can muster, you are greater then even death. I pray that you find justice for this evil loosed on precious, innocent lives. I pray that purpose will come from your hand and that fear will not grip us because you are in control. Lord, I pray that we can heal and grow together as brothers and sisters in Christ. And I pray that the love of those around them will draw others to your light that do not know it. 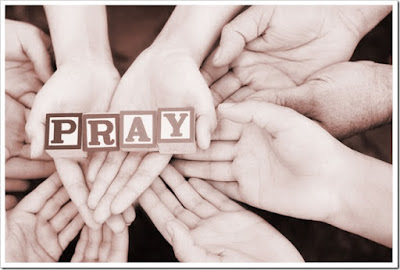 I pray that all will find peace and that we can always be joyful, never cease praying and be thankful in all circumstances because it is Your will for us to so for all of us who belong to Jesus. Amen. Our little children, must they go? Where's the justice? Where's the love? and redemption in the souls of the world.